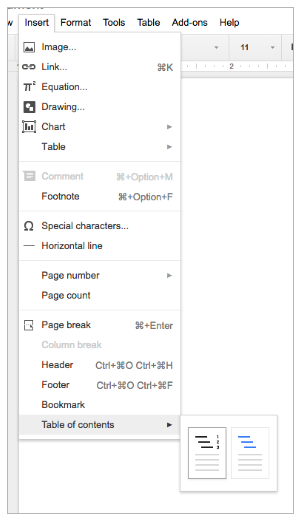 The table of contents in Google Docs makes it easy to organize and navigate long and complex documents. Starting today, you have the option to include page numbers in these tables, a frequent request from G Suite customers. To do so, simply select the numbered option when inserting a table of contents from the Insert menu.